Psychosis is a symptom that individuals with a psychotic disorder experience. If you have a psychotic disorder, you may hear voices, have delusions, or have misperceptions about the world around you. Individuals experiencing psychosis 'lose touch' with reality; they may have trouble determining what is real and what is not; they may see or hear things that are not there. This symptom is usually first noticed in young adulthood - around 100,000 young adults have their first psychotic episode each year. If you or someone that you love is experiencing psychosis or a psychotic condition, you should contact your doctor. Psychotic episodes can sometimes lead to dangerous behaviors, impacting both the person experiencing it and the people around them. There is help available to address psychosis. Your care team can help you make decisions about what combination of treatments is right for you. Medication: Many types of medication can be used to help control the symptoms of your psychosis. Your doctor may prescribe antipsychotic drugs or other medications. 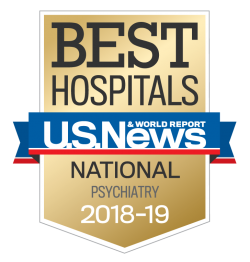 Therapy: Both inpatient hospital treatment and outpatient therapeutic options may help you manage an episode of psychosis and learn to better control these symptoms. Learn more about your treatment options at Sheppard Pratt. Support: Good support is important as you treat your psychosis and any other mental health conditions that are affecting you. Find a support group at Sheppard Pratt.